You don’t have to be gay to celebrate Pride as Danny DeVito and the cast of It’s Always Sunny in Philadelphia proved last weekend. The It’s Always Sunny actor was joined his fellow cast mates Kaitlin Olson, Rob McElhenney, Glenn Howerton, Charlie Day and Artemis Pebdani at the annual LGBTQ Pride Parade in West Hollywood. They even brought a big gay Paddy’s Pub to the party. What’s a girl gotta do to get a drink around here? Check out the #SunnyFXX float at #LAPride today! ?️‍??️‍? They did the same thing back in 2016 and it included DeVito draped in a feather boa so colourful it could put Hulk Hogan’s to shame – which thankfully he brought back for last weekend’s Pride Parade. DeVito practically stole the show on the float as he was clearly having the time of his life – despite being wrapped in his feathered boa in 26 degree LA heat. A noted supporter of the LGBTQ community the iconic actor showed love in the most DeVito way possible. With his infamous troll foot. I would apologise for showing you that, but if I have to see it I’m damn well making sure the rest of you have to endure it too. Besides you’ve got to respect an individual who takes pride in their troll foot. DeVito, who has been in a string of classic films such as Matilda, Batman Returns and Twins, took time out to take pictures with last weekend’s Pride Parade-goers. I’m so proud of my mothers, my brothers, my friends and everyone else who has had the courage to come out to the world. To those who are struggling to do the same: know that there are billions of us who have your back. You. Are. Loved. When you’re ready, we’re here. #pride? Those of you who watch the show know McElhenney, who is married to co-star Kaitlin Olson, plays the character of Mac, the show’s only openly gay character. 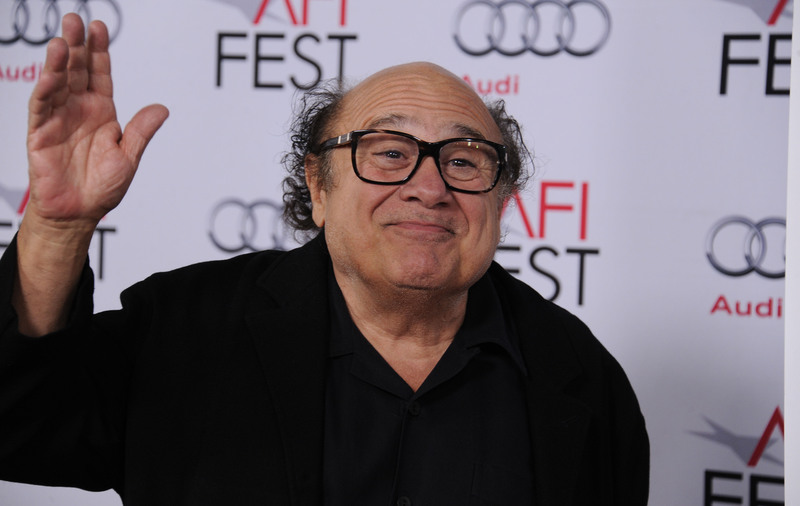 Despite the fame and adoration (and money) which comes with being a veteran in the acting game DeVito as proved time-and-time again that he’s a man of the people. This month he had the perfect response to 17-year-old Allison Closs, who didn’t need a real man to make her happy at her prom, just a cardboard one.. of Danny DeVito. Early in May 2018, Closs turned up at her high school prom, arm-in-arm with a life-size cardboard cut out of DeVito. Well not exactly ‘arm in arm’, it was actually more of a ‘walking the dog’ action, as Closs pulled her 2D date along behind her on a lead, which was attached to a scooter cardboard-cut out Danny was mounted on. He repaid the favour by bringing a cardboard cut out version of Alison to the set of Paddy’s Pub, thankfully Frank Reynolds questionable habits were sidelined in the photos for some more appropriate behaviour.